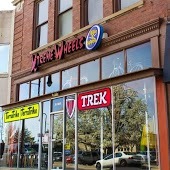 How Can I Go True Wheel Bicycle Co? Where is True Wheel Bicycle Co in Council Bluffs on the Map? This location has 17 reviews from customers. There were some miscommunications with our experience. We brought our bike in and ran into a problem where the employee who was handling our trike quit, without communicating what needed to be done. as such, not all of the work we had agreed to had been completed. Additionally, we were treated rather poorly by employees working there while trying to resolve the issue. We finally spoke with the owner, and he did his best to resolve the issues. it did require bringing the bike back in, and having all of the work redone. we were supposed to get the bike back on thursday, but only just got it back now on saturday because they werebusy, and we were delayed. Very happy to have the trike back, and the work is outstanding. I only wish we had been able to deal with the owner from the get go. 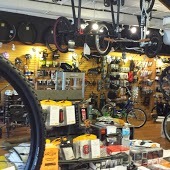 My Experince at True wheels bicycle co is amazing. Great Workers their will help you with all your bicycle needs. They fix any bike you can think of. They have helped me many times with all my bmx needs. They can get anything hubs wheels axles protective needs anything you can think of. You will never have bad things when you go to True Wheels. True Wheels is runned by 3 people and their great they have a big bikeing community your love it at True Wheels. Took my trusty Iron Horse in recently for service and they did an excellent job. About a year ago they were my savior for a tire for my road bike when everyone else in town was closed or just had horrible customer service. These guys are great and very knowledgeable about bicycles. I will be a dedicated customer while I live in the Council Bluffs area. Thanks to everyone there for superior service. Awesome store... Best in the Omaha/Council Bluffs area BY FAR! I hadn't been on a bike for years and was riding RAGBRAI with with boyfriend... well, I needed a great bike. They recommended the perfect bike, which was on sale because it was last year's model. It was a great deal, I'm so happy with it, and the service there was beyond incredible. These guys deserve six stars!!!! Thank you!! !